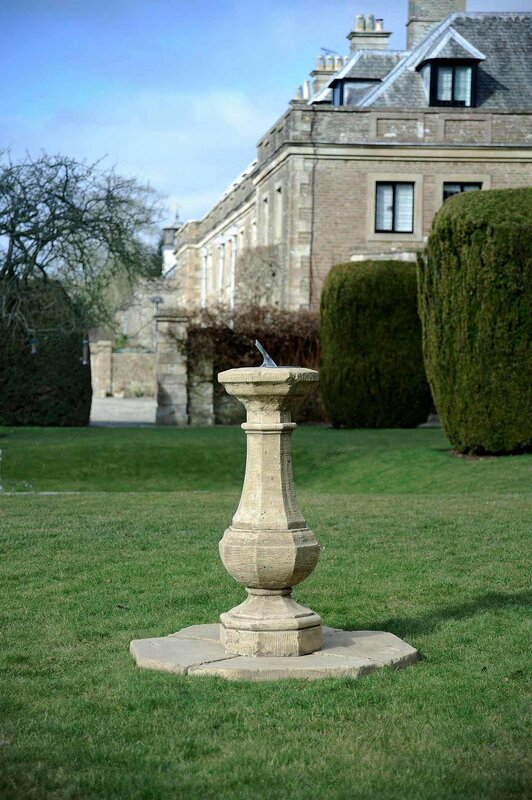 19th century octagonal reconstituted stone base with solid copper small sundial which makes an impressive garden ornament. 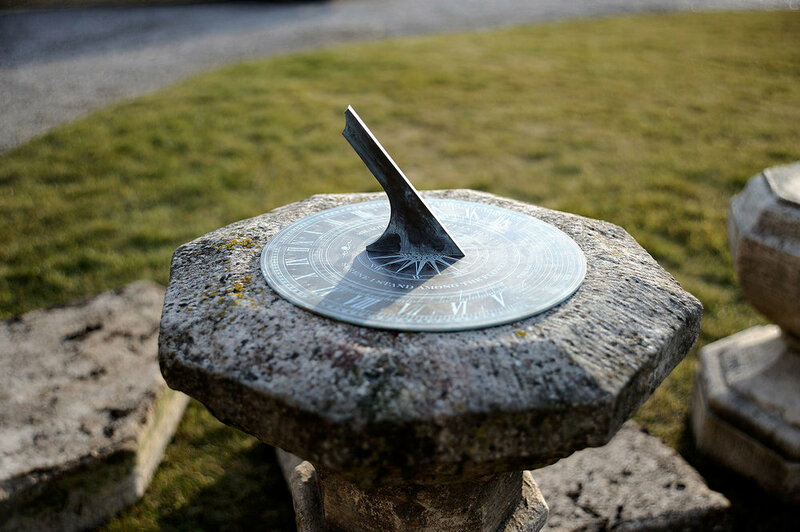 Copper sundial can be made to special sizes. 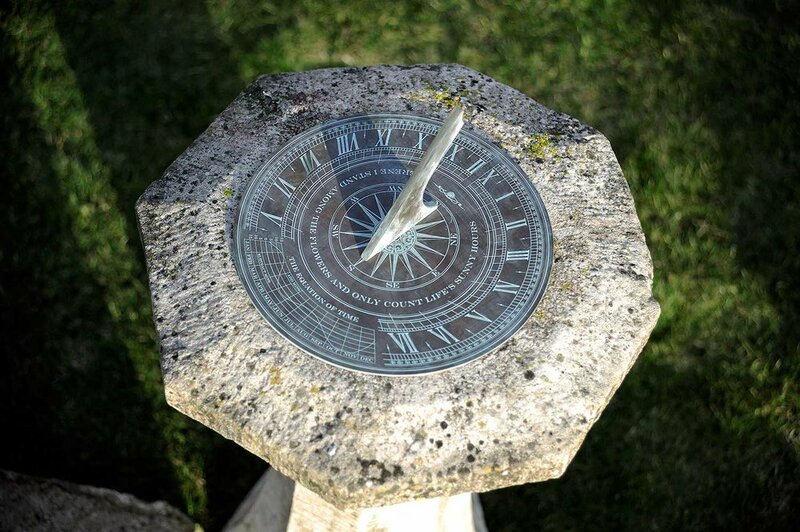 Small Sundial: 24cm (9½") diameter. Stone base only: 13cm (5") high, 107cm (3' 6") diameter. 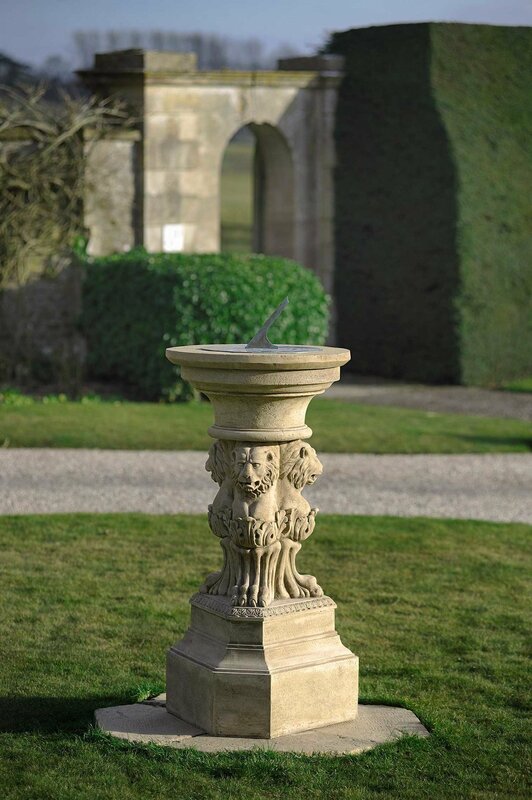 This elegant reconstituted stone base features three intricately decorated lions with a solid copper sundial. Large Sundial: 40 cm (16") diameter. Stone base only: 123 cm (4' 1") high.